Valentine’s Day was 14 days ago. 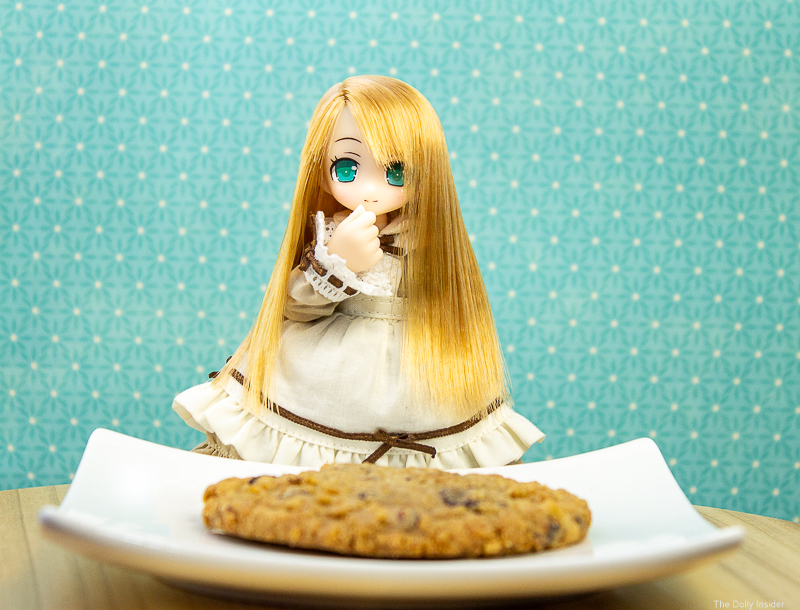 I gave Harmia an oatmeal cookie for her Valentine’s Day gift. And told her she didn’t have to share a crumb with me. That made her very happy. Oh, you look so yummy! 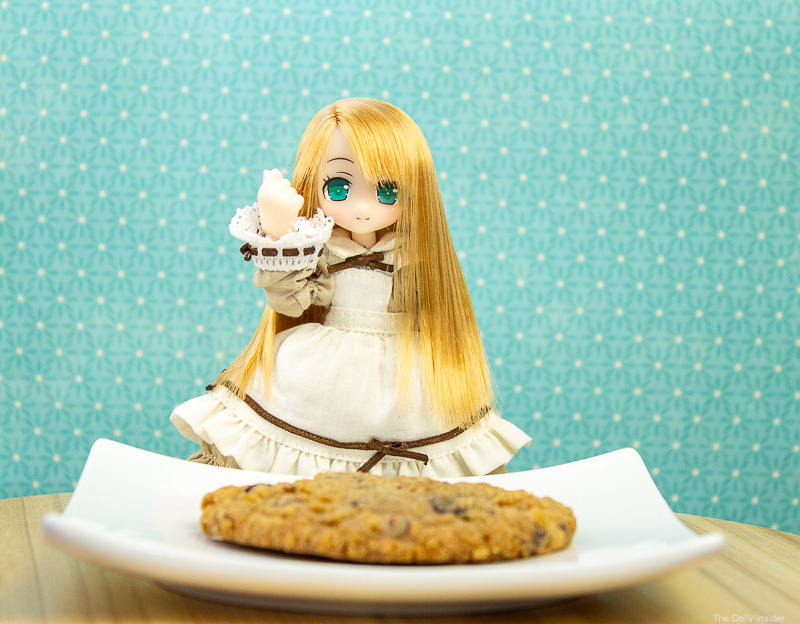 I’d expected her to jump right into devouring the cookie. But do you know what that little special girl of mines did instead . . .? 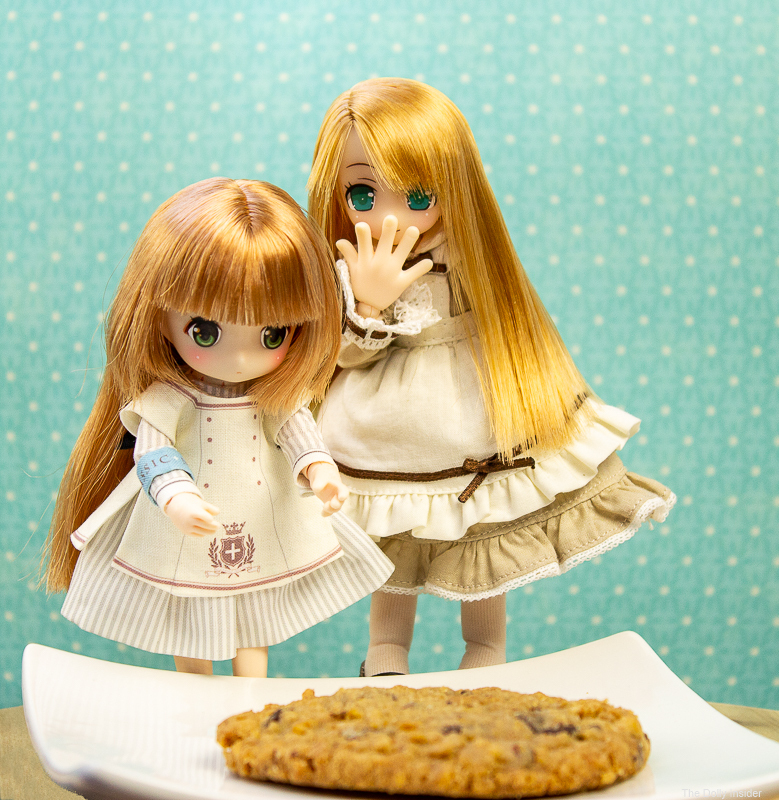 She came to the decision that she wanted to share her cookie with one member of The Dolly Insider family. She realized sweet treats taste better when shared. 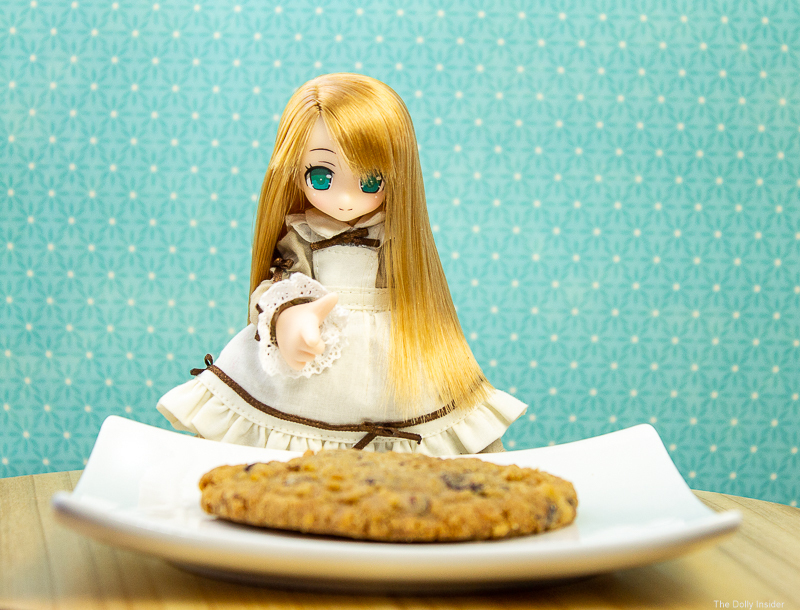 It didn’t take Harmia long to pick the person she wanted to share her cookie with. She chose one of the newest members to The Dolly Insider family, chuchu Hina-chan. Last year the two of them met and quickly developed a sisterly bond. The girls enjoyed their Valentine’s Day cookie. And now I’m worried that she’s developing a sweet tooth like Harmia. I’ve got to stop giving my dolls sweets. 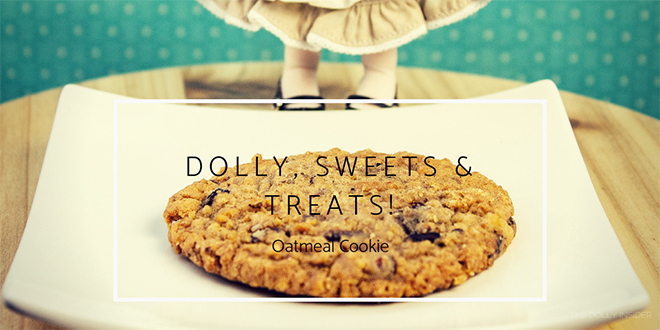 Harmia and I want to send a huge Thank You to Birgitta for submitting such a beautiful Dolly, Sweets & Treat image. Harmia hasn't tried ice cream before so I promised her a scoop of ice cream sometime in Spring/Summer. She’s super excited to try a new, cold treat. 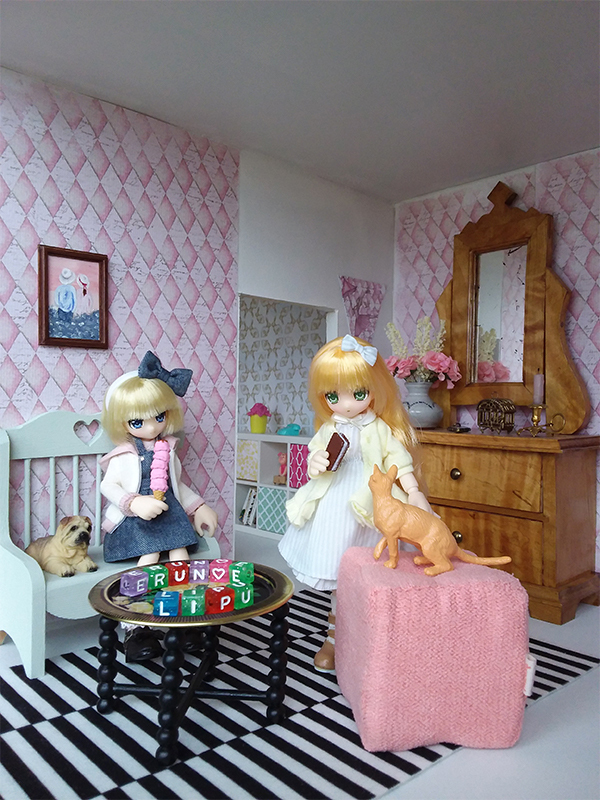 Thank you Birgitta, Erunoe and Lipu for sharing your Dolly, Sweets & Treats image. 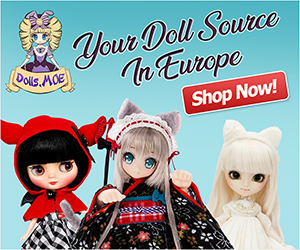 Did you give your dolls a Valentine’s Day gift? If so, what type of present did you give them? We’d love to hear about your faves & what you like most about them? Harmia and I are always on the lookout for new mouthwatering treats. And if you’d like your dolls to be featured in the Dolly, Sweets & Treats, then send us your image and we’ll include it in our next Dolly, Sweets & Treats adventure. What’s that?? Harmia sharing??? Oh boy now I’ve heard it all. Fancy that little greedy guts finally turning over a new leaf. 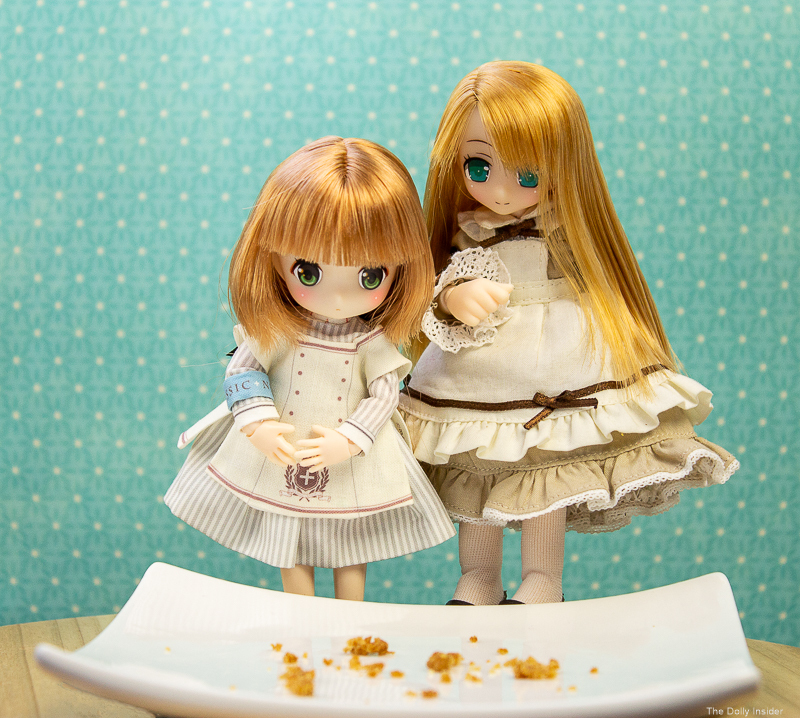 I just hope that the small taste of sweet stuff doesn’t turn Hina-chan in to a smaller version of Harmia . . . then you’ll have double trouble on your hands for sure! LOL! My favourite cookie is a date and ginger, they are quite dense but very yummy, with little pieces of ginger in them. Oh, double trouble . . . there’s no way I could survive that. But I have a sneaking suspicion Harmia is trying to create a Mini-me of herself. She’s taken on the role of “Big Sis” with Hina-chan. At first it was cute 🙂 but now I’m not too sure. You don’t know what she’s really up to until it’s too late. That Lil’ Fairy keeps me on my toes too much. I’ll need to get a firm big sister or big brother for her. Someone who won’t fall for her adorable face so easily. I hadn’t heard of date and ginger cookies before. My favorite cookies are dark chocolate ones. I haven’t tried it in any sweet treats yet. My little Harmia is growing up but I’m not sure if she’s trying to trick me into giving her more treats. I appreciate you taking the time to chat with me about dolls & sweets.